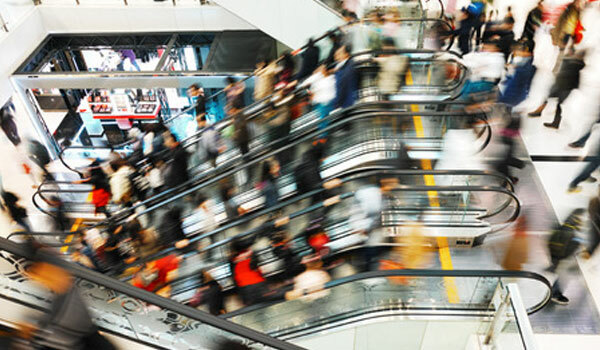 Can big data analytics save the high street? According to the Press Association, up to 50,000 jobs have either been made redundant or have been threatened in the last year, with large-scale retailers most at risk of being disrupted by the growing migration of consumers towards online platforms which offer a more convenient, streamlined and ultimately customer-friendly experience. Whilst business rates, creeping inflation, and decreasing consumer confidence cannot be discounted as factors, the primary cause for the seemingly terminal decline in the relationship between consumers and producers within retail can fairly be directed towards the now well-established role of online platforms in circumventing the necessity to visit a fixed location in order to purchase a product. Beyond the simple consumer-online-producer dynamic, the role of disruptive technology, and big data analytics specifically, has served to further empower such online platforms by providing producers with a previously unavailable insight into the character, motivation, needs and persuasions of their customer base. Such insights have served to strengthen the disconnect between consumers and the high street, limit brand loyalty, and ensure greater resources and investments are allocated to disruptive technology. So, what can be done and what are individuals like Flavio doing to address such concerns? First, organisations must address how to use data properly by defining what their data needs to be, which is strategic, clean, diagnostic, connected, predictive, reactive and actionable. Built into the purpose, design, and impact of a successful big data analytics programme is the power of AI, which can amplify an organisations capacity to extract insights from data, overcome the issue of scalability and complexity, and enable a greater level of usage. In addition to this, AI can also better articulate different data and change the way in which to interact with such technology through the adoption of platforms which allow continuous sourcing and storing. Equally true is the ability to automate knowledge work to improve efficiency and allow more agile and predictive decision-making, which frees time to enable more strategic thinking. Once in a position to realize the potential of big data analytics and AI, organisations can begin to appropriately segment their customer base, channel marketing in accordance with the characters it produces, from social chameleons to statement makers, and add personalisation to marketing strategies to ensure an effective approach which increases efficiencies and decreases the potential for misdirected production. Only then can department stores which have enjoyed a long-held position on the British high street begin to compete with new and emerging enterprises who have disruptive technology and agile processes at the heart of their activities. Join us for our Big Data Analytics Europe conference happening in Rotterdam on 12 March 2019 and our prestigious London conference on 19 June 2019. To register your place to attend these events please visit BDA Europe and BDA UK.